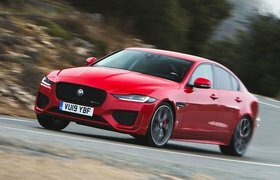 2018 Jaguar XE 300 Sport review | What Car? Plant your right foot and things liven up, but it isn’t all good news. The first thing to strike you is the annoying hesitation in the gearbox before it realises what’s going on, like it’s been rudely awoken from a deep sleep. When it does eventually kick down a couple of gears, the acceleration is competent but not exhilarating. It’s enough to slay the morning commute but not enough to see off the cheaper BMW 340i in a drag race. So, sitting at the top of the regular XE range as the performance icon, this 300 Sport does feel a little lightweight in terms of pace. 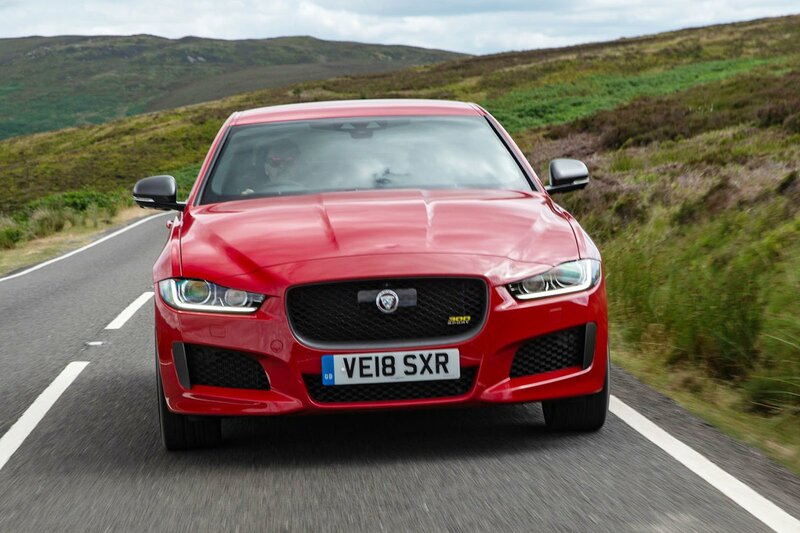 But arrive at a corner and the XE really shines, with fluid and sharp steering and effortless agility making it one of the best executive cars to hustle along a twisting B-road. 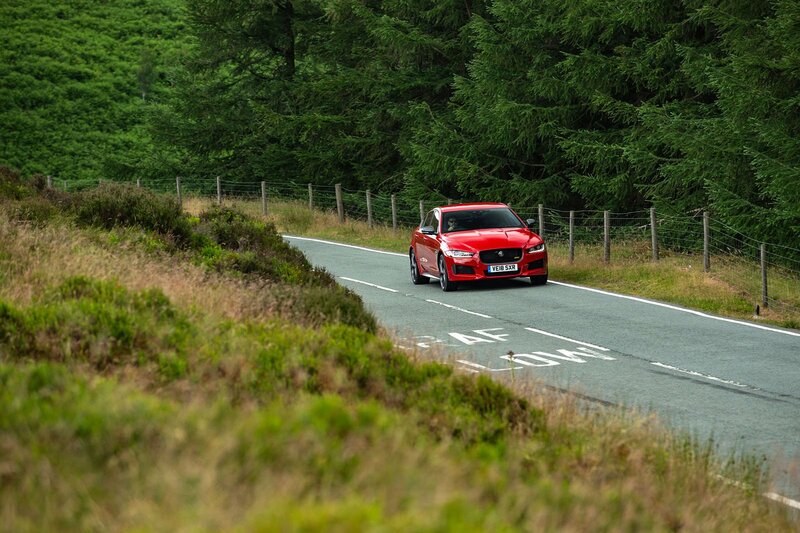 However, this impressive handling can be had in an XE that costs significantly less than the 300 Sport. 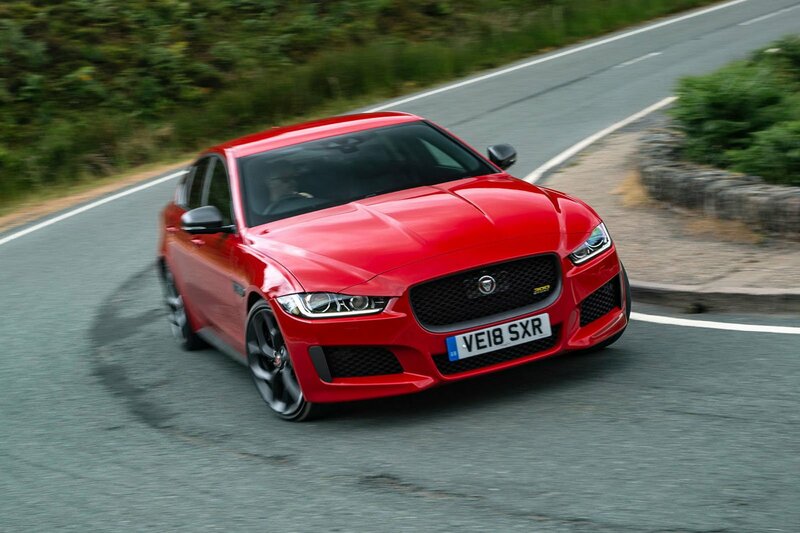 This car costs £6000 more than an SE with the same engine, and in the 300 Sport you still have to pay extra to heat your rear seats and steering wheel. 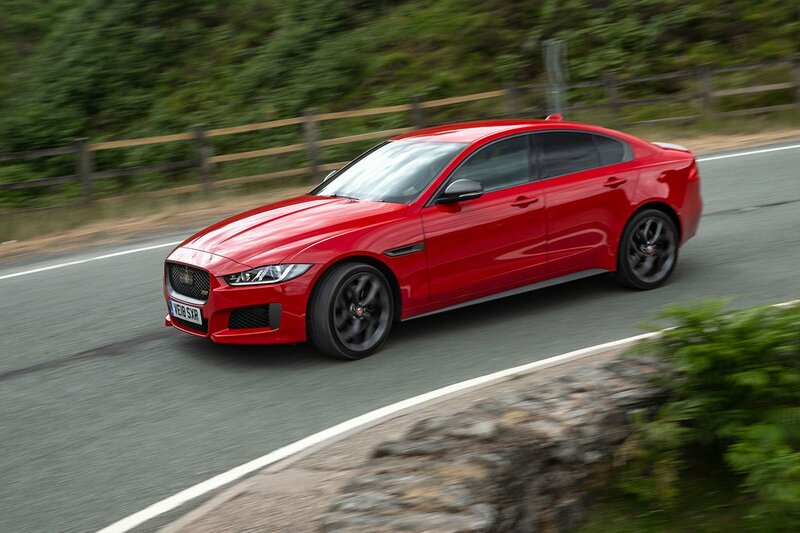 A similarly stylish performance rival comes in the shape of the Alfa Romeo Giulia Veloce, which is also around £6000 cheaper than the 300 Sport. You get our point. The 300 Sport’s high price also highlights the shortcomings of its interior, which has disappointing build quality and mediocre space. 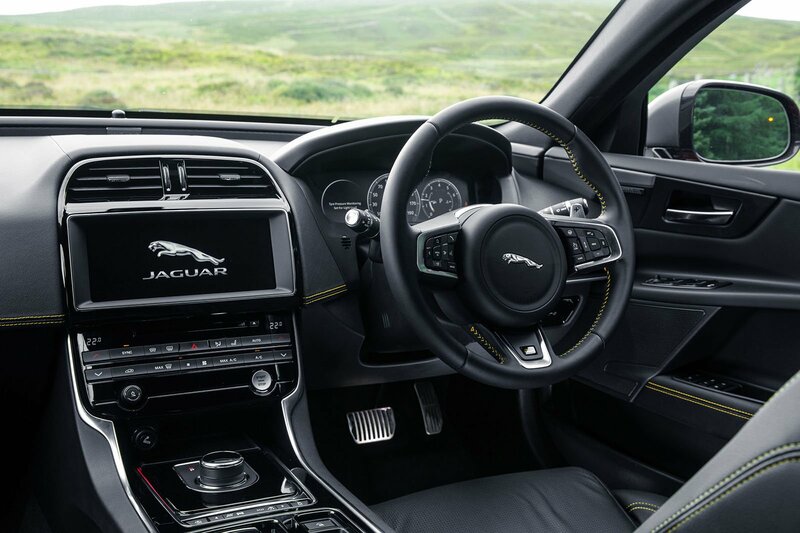 You can now at least finally get Apple CarPlay and Android Auto on Jaguar models as an optional extra.